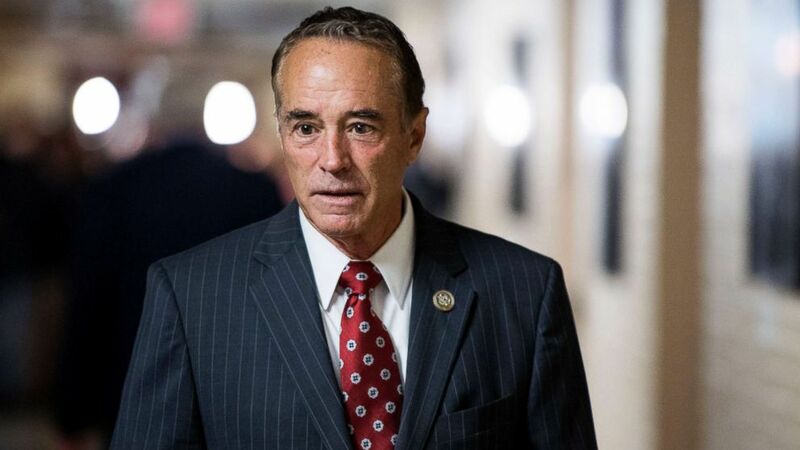 Republican Rep. Chris Collins, indicted this week for alleged insider trading, has suspended his re-election campaign, and Republicans are expected to try to nominate him for a county clerkship in hopes of removing him from the ballot. Collins, from the Buffalo area in New York state, earlier said he would stay in the race following his indictment, but announced Saturday that he is suspending his bid for re-election. He plans to serve the remainder of his term. "After extensive discussions with my family and my friends over the last few days, I have decided that it is in the best interests of the constituents of NY-27, the Republican Party and President Trump's agenda for me to suspend my campaign for re-election to Congress," he said in a statement. Collins was indicted for alleged insider trading Wednesday along with his son and his son's future father-in-law with charges related to an Australian biotechnology company, Innate Immunotherapeutics. Collins, who sat on the board of the company, allegedly shared nonpublic information about a failed drug trial with his son, who passed it along to his future father-in-law and others. The test results were made public four days later and Innate stock dropped 92 percent. By then, however, Collins, his son and his son's future father-in-law had avoided $768,000 in losses. Collins has maintained his innocence and said he will fight the charges. The House Ethics Committee is investigating the allegations against him. House Minority Leader Nancy Pelosi said House Speaker Paul Ryan should call on Collins to resign. "No person is above the law, not the president or his first supporter in Congress," Pelosi said in a statement Saturday. While Collins was favored to win re-election, Democrats have been using the scandal to attack him and other Republicans as they seek to retake control of the House. A Republican official told ABC News on Saturday that local GOP officials in New York will try to remove Collins from the ballot by nominating him for a county clerkship and will then select a replacement candidate for the House race.